Who loves a good party? Everyone! For a great time, come celebrate the Fifth Annual German festival of Oktoberfest at Eproson Park on October 2 and 3, 2010 from 10am to 5pm. Oktoberfest began in the early nineteenth century as a celebration of a Bavarian royal marriage and continues today as the largest folk festival. 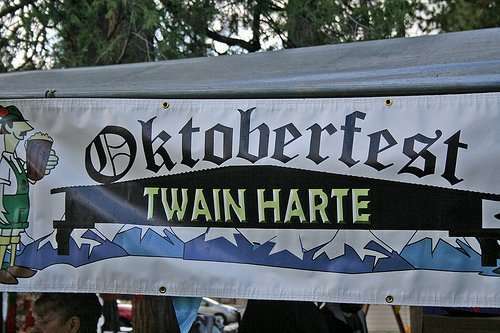 Some people might say Twain Harte is an excellent place to celebrate Oktoberfest because it resembles the small Bavarian mountain villages of Germany. 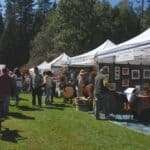 The festival consists of beer, wine, food, arts and crafts, and live entertainment. This is an event for all ages. Grab your Lederhosen for the weekend and have a good time. Admission is free. This event is co-sponsored by the Twain Harte Area Chamber of Commerce and Fire on the Mountain Productions. 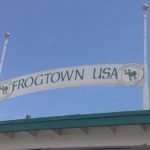 The proceeds from food and drink sales go to benefit the Twain Harte Chamber of Commerce Scholarship Fund which helps college students who plan to return to Tuolumne County to work after graduation.